Browsing 1 product categorized as Books. By Theodore Roosevelt Malloch. Business leaders have been deeply impressed by the research of scholars on the role of social capital in our personal and professional lives. 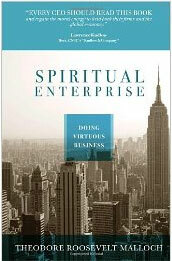 But in this timely book, Theodore Malloch argues that spiritual capital provides businesses with people with the strong personal convictions, moral scruples and spiritual discipline that yield success. Malloch shows how spiritual capital encourages the virtues of compassion, forgiveness, perserverence, patience, courage, humility and self control that a healthy market requires.